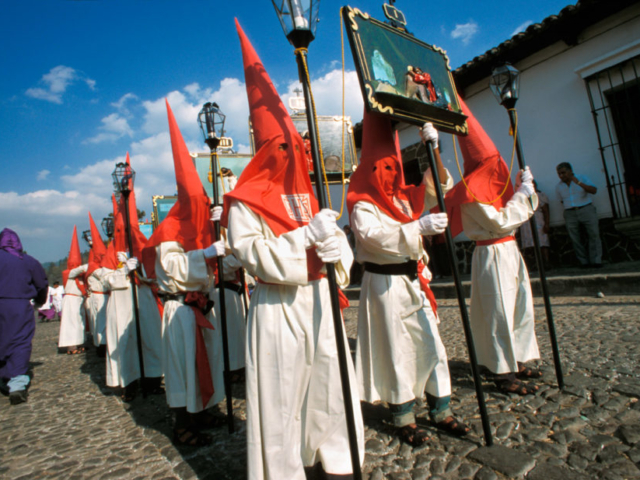 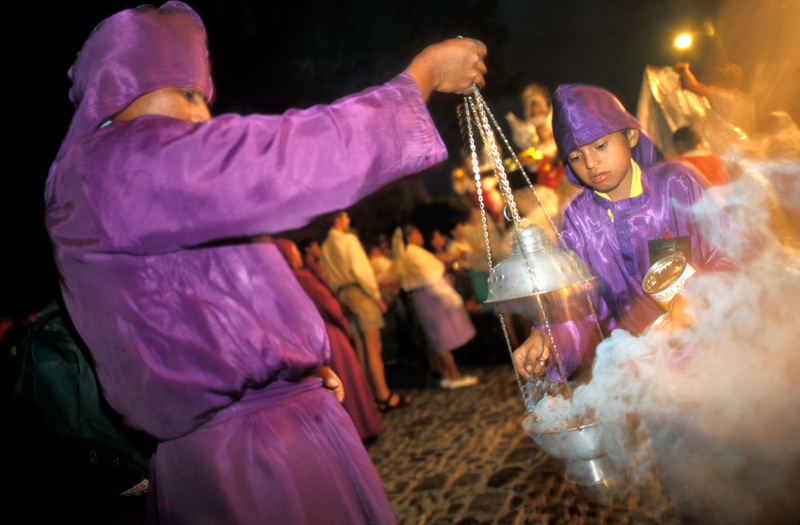 Semana Santa traditions taking place in most Catholic countries are vibrant celebrations, with religious origins. 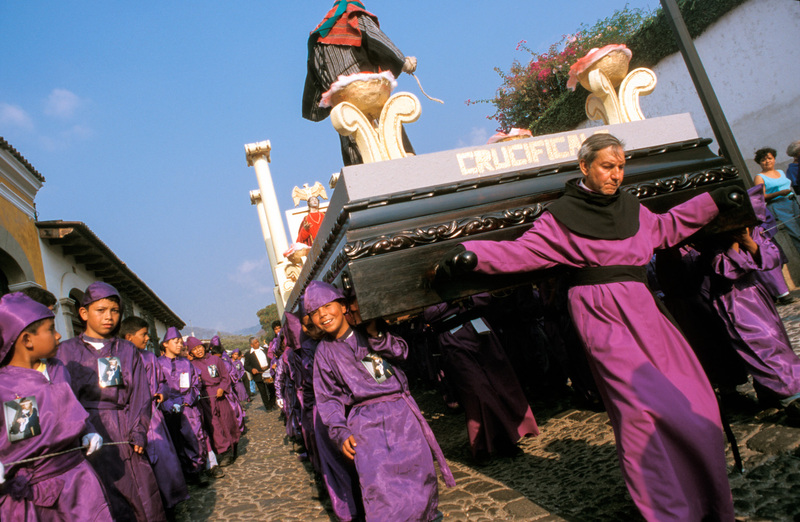 They take place during the days and weeks leading up to Easter Sunday. 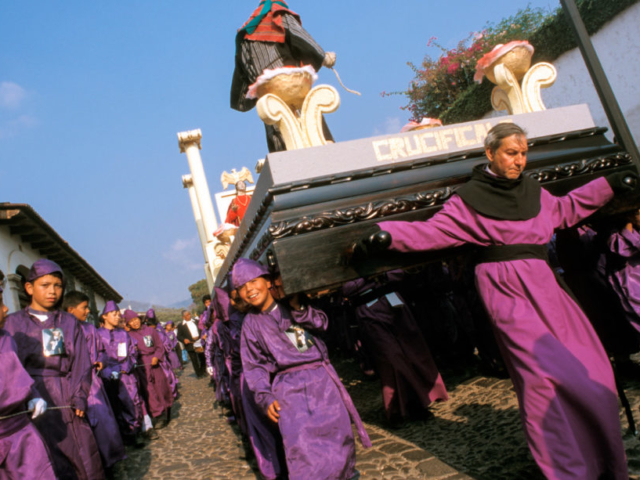 First time I got to witness Holy Week, the Catholic celebration of Easter, I was only a kid living for a while in Spain. 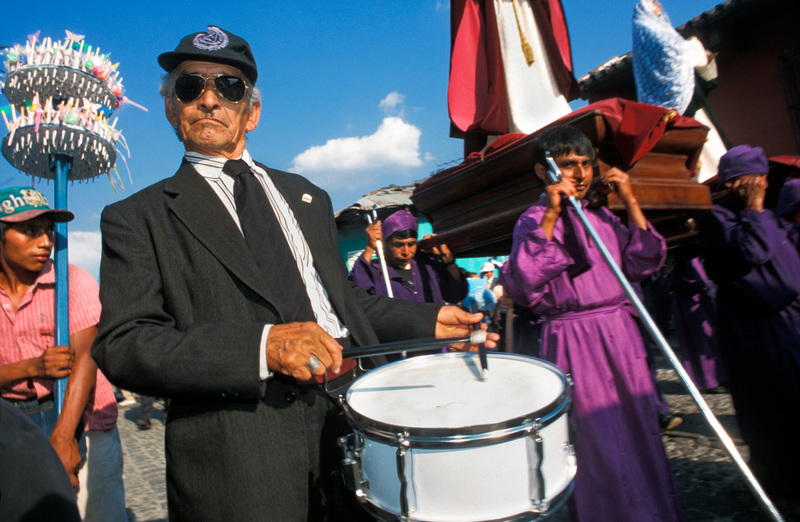 I didn’t understand much of what was going on, but I was nevertheless fascinated by the colourful processions, the hooded people, the music, the noise and all the floats with religious symbols and sculptures. 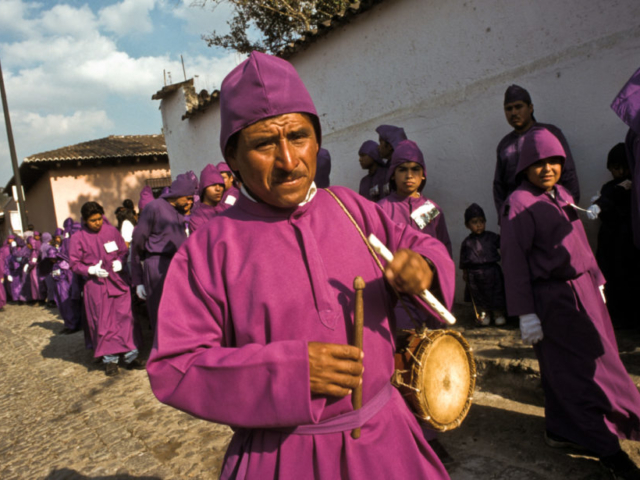 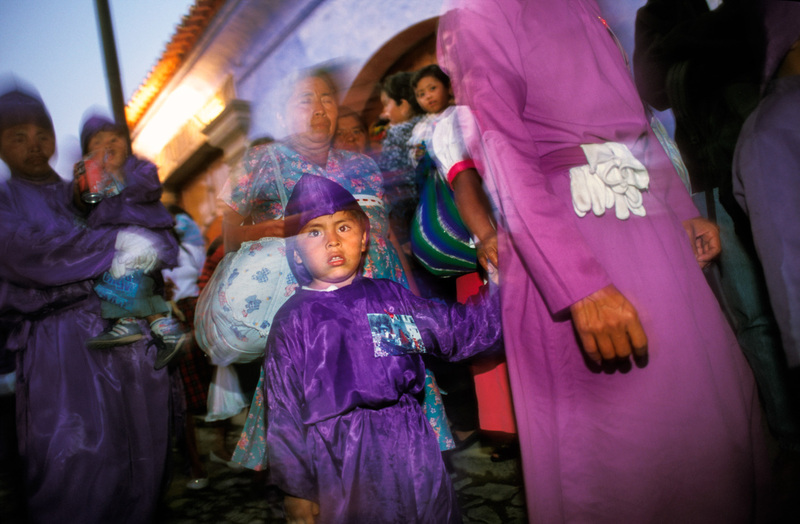 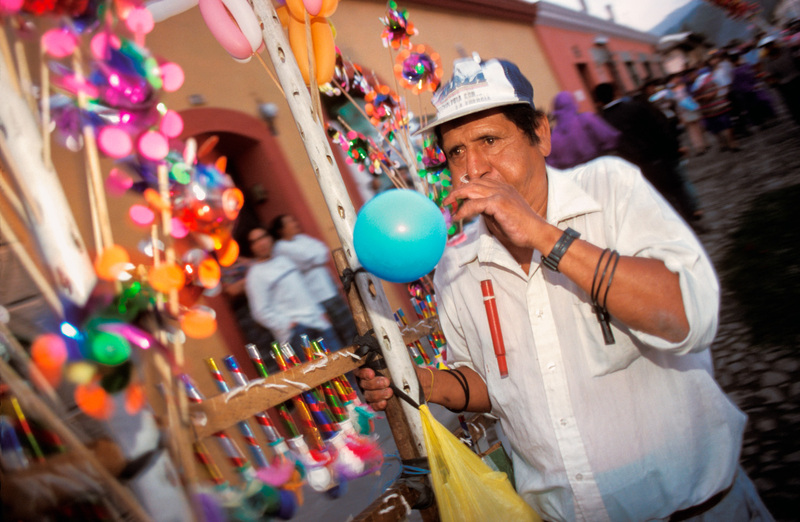 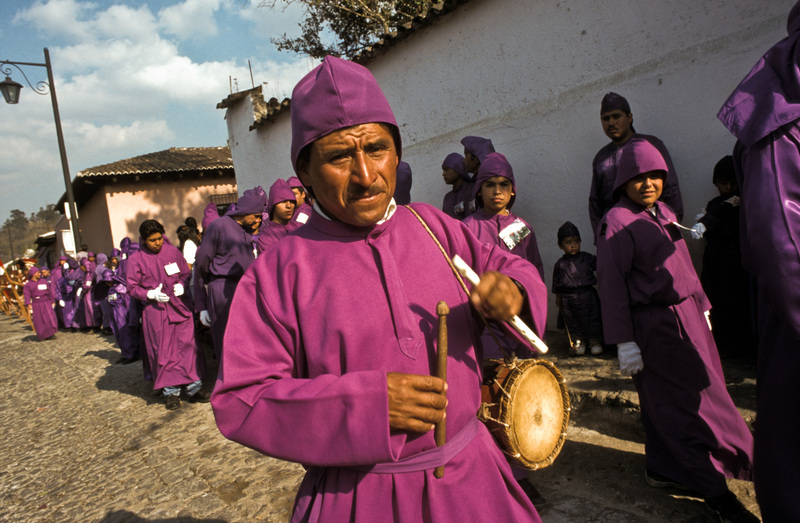 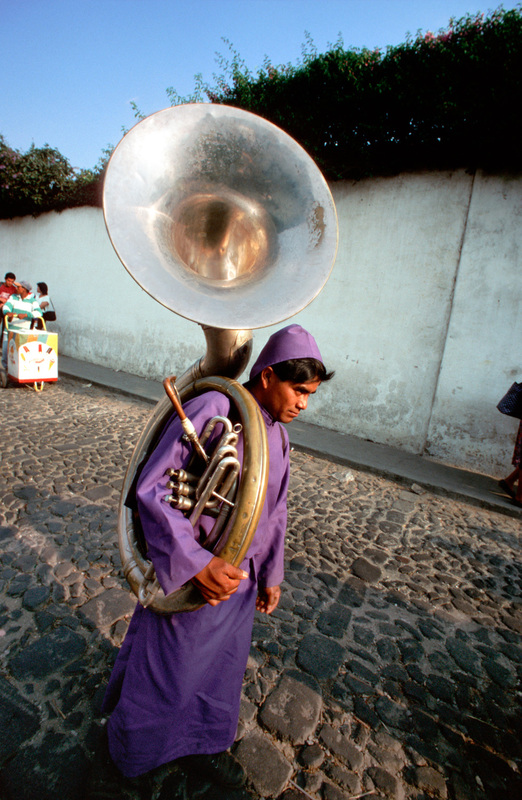 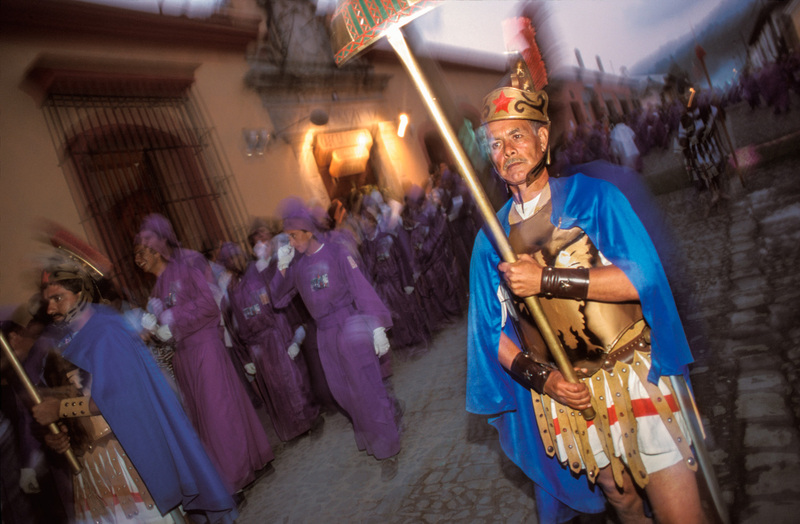 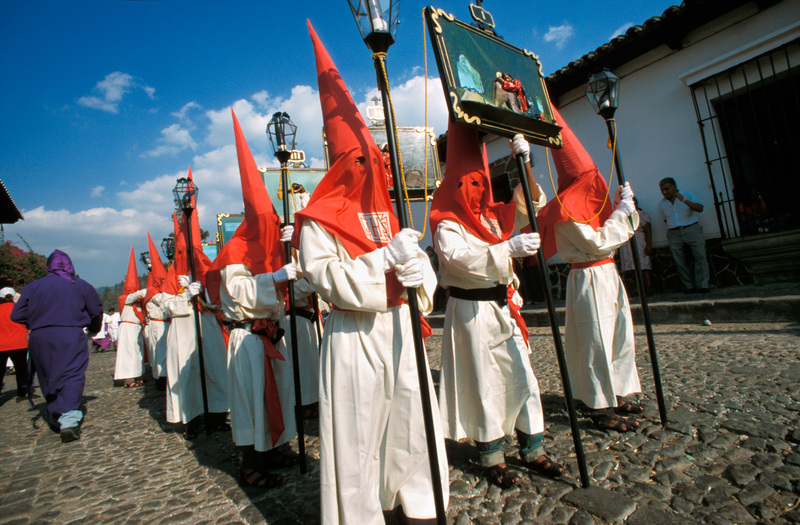 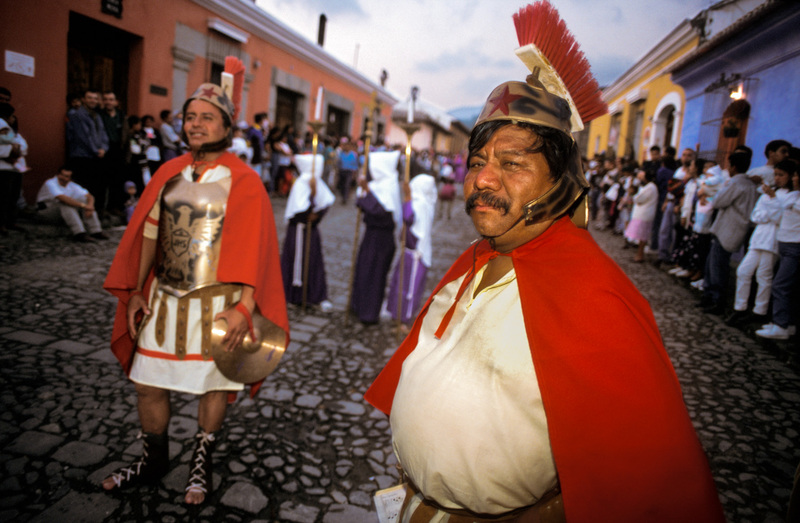 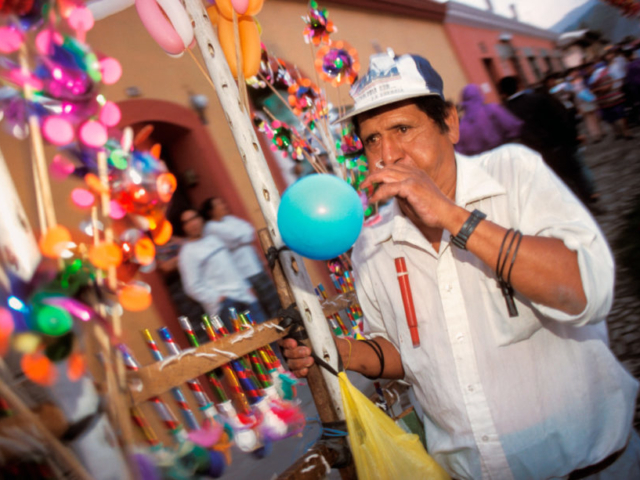 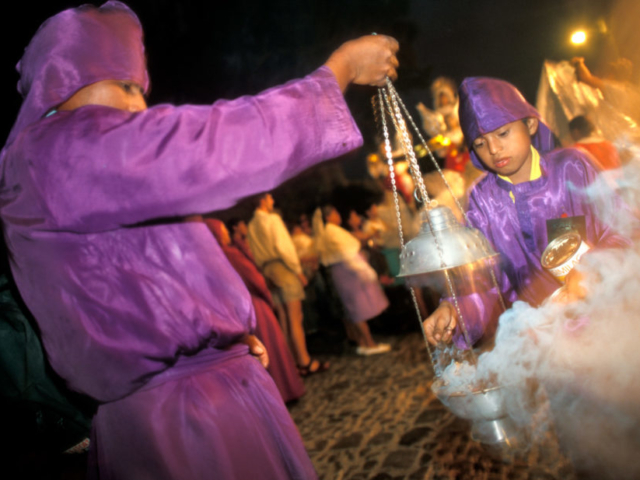 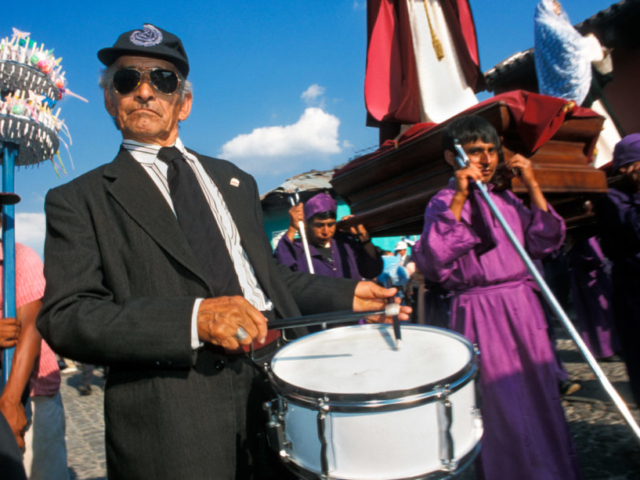 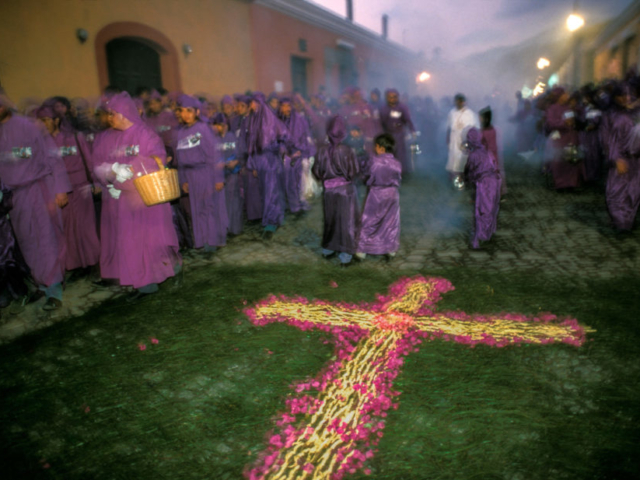 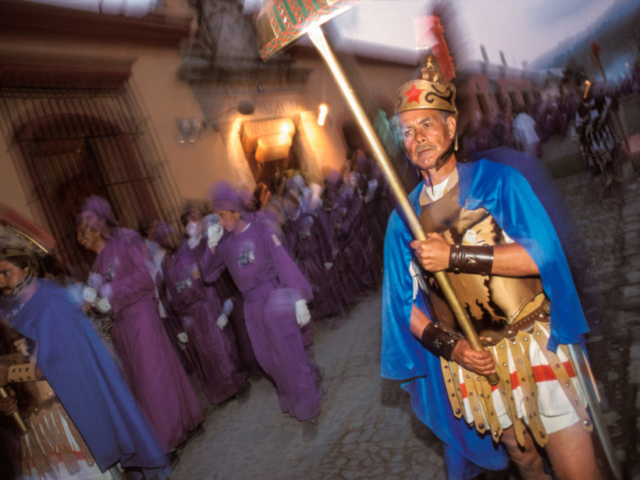 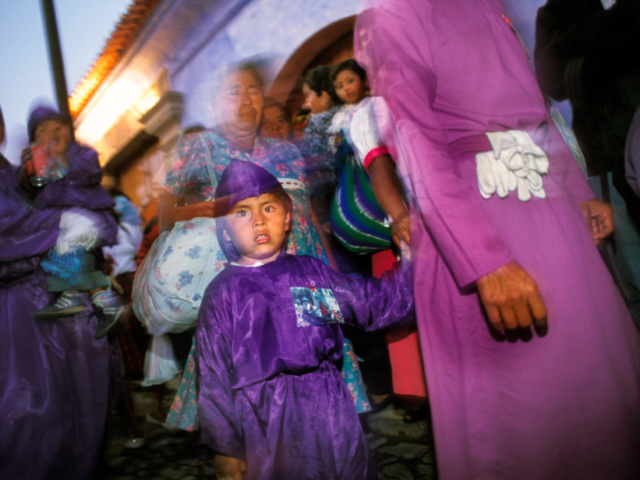 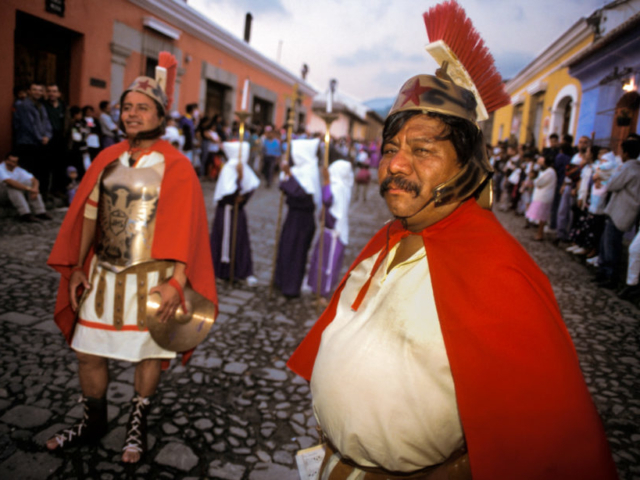 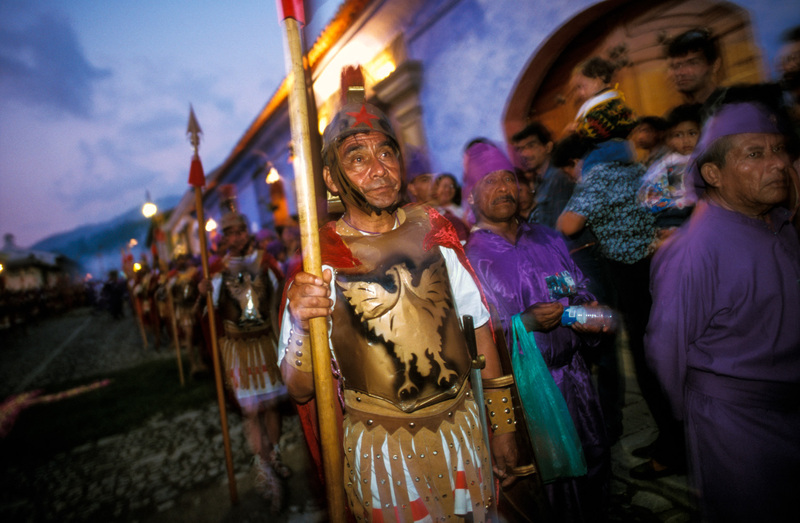 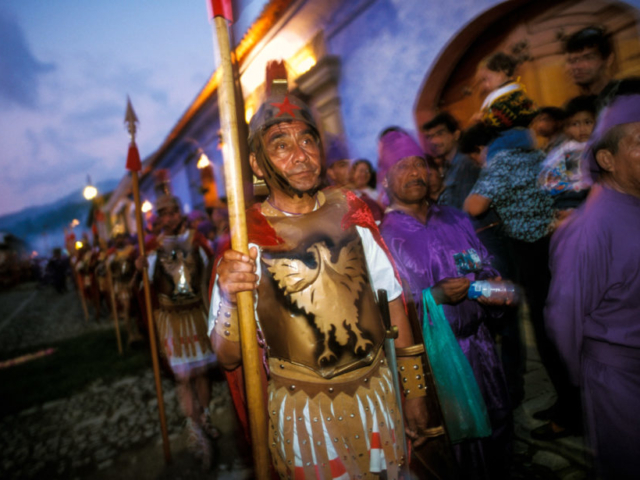 When I got a chance to photograph the celebration in Antigua, Guatemala, many years later as a grownup, I would still be fascinated by the devotion and the passion with which the locals celebrated Holy Week—or Semana Santa as it is called in Spanish. 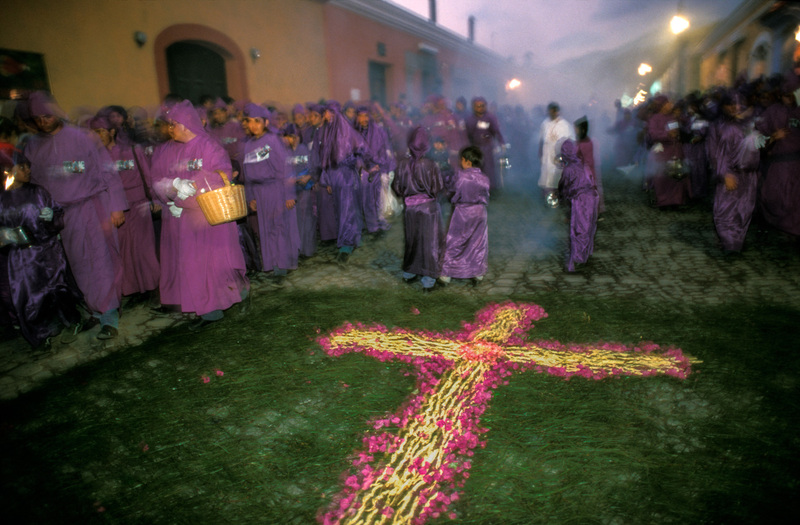 Weekends before the actual Easter processions from every little church will be marching into the town centre, through streets covered with beautiful and elaborate carpets made of flowers. 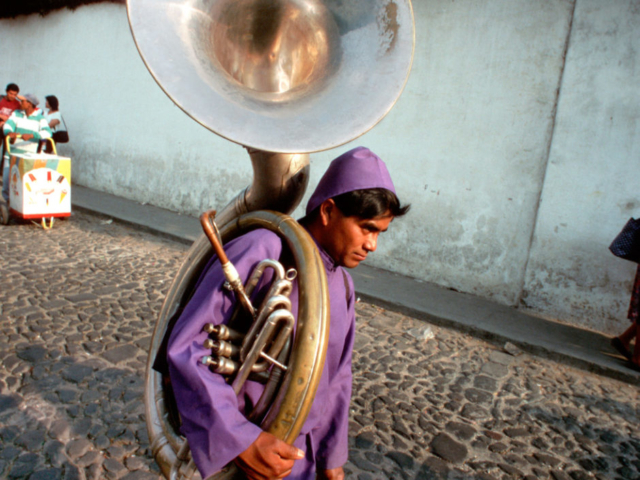 The marching would go on for hours to the exhaustion of everybody, spectators or participants.